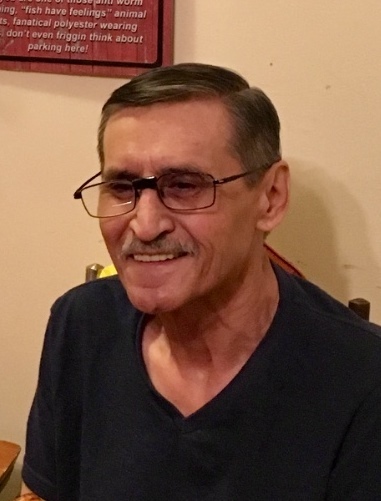 Obituary for Bernat Albert Tremblay | Mission View Funeral Chapel Ltd.
On Thursday, January 24, 2019 Bernat Albert Tremblay of Slave Lake, AB passed away at the age of 68 years. Bernat is survived by his children Bernadine Favel, Lana Favell, Shawna Makenzie, Joshua Buffalo, Kendra Oxebin, grandchildren Joshua Duchesne, Brandan Favell, Justin Chiplin, Shayleen Favell, Keeley Favell, Zane Favell, Guy McKenzie, Summer McKenzie, great grandchildren Jay Arcand, Joshlene Arcand, Aaliyah-Faye, great grandchild Jayden Duchesne, siblings Norma (Maurice) Cardinal, Margie (Rene) Bone, Louis Tremblay, Art (Karen) Tremblay, Irene Tremblay, Brian Tremblay, Erven Tremblay, Ted Tremblay, Rhoda (Cam) McGregor, Brenda Tremblay, Sherry (Tommy) Calliou, Ramona (Alex) Tremblay, as well as numerous aunts, uncles, nieces, nephews, cousins and friends, good friends, Beatrice and late Paul Sinclaire. Bernat is predeceased by son Joey Albert Favel, brothers Dave Tremblay, Raylee Tremblay, sister Annie Tremblay, Barbara Tremblay, parents Soloman and Clara Tremblay. Wake on Sunday, February 3, 2019 at 1:00pm at McArthur Place in Lac La Biche, AB. Funeral Service on Monday, February 4, 2019 at 1:30pm at McArthur Place in Lac La Biche, AB with Rev. Robert Wright officiating. Cremation following the service. Pallbearers were Justin Chiplin, Brandon Davidson, Brandan Favell, B.J. (Blaine) Kissinger, Robert Rayko, Jamie Tremblay.